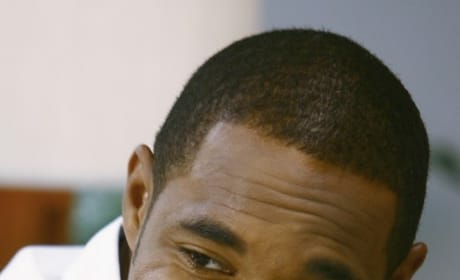 In "I Like You So Much Better When You're Naked," Derek and Richard are liable to feud once again when Der reveals that he knows Richard's secret. 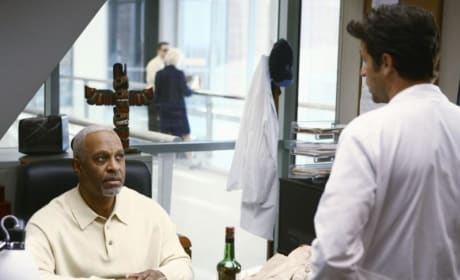 Richard Webber in "I Like You So Much Better When You're Naked." Is his reversion to drinking going to come to a head? 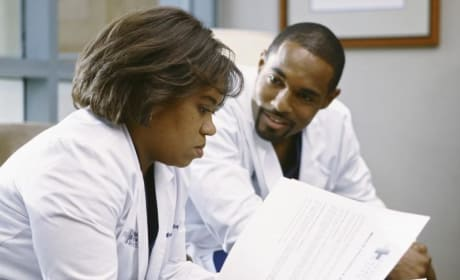 This hot new doc at Seattle Grace may be a love interest for the single Dr. Bailey. We have no objections whatsoever. Will Bailey find love with this fella? If so, she could do a lot worse! Richard and Derek in "I Like You So Much Better When You're Naked." The Chief and his one-time heir apparent find themselves at odds again. Meredith and Lexie Grey in a photo from "I Like You So Much Better When You're Naked." Will the Grey girls find themselves at odds over Lexie and Alex? 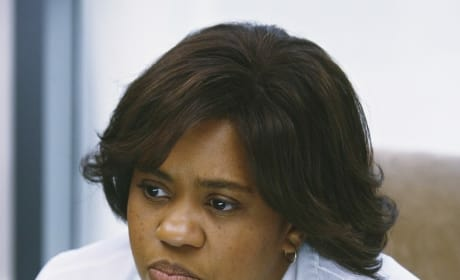 Miranda Bailey in a photo from "I Like You So Much Better When You're Naked." 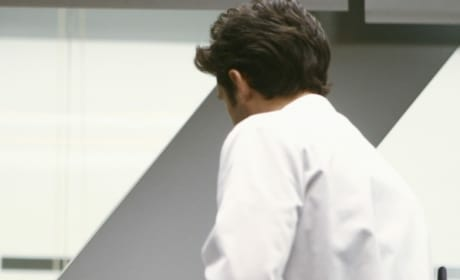 Will our girl find a new love in this episode? Lexie Grey is the dirty mistress of the hour on Grey's Anatomy. Alex hit that ... now Izzie may tell him to hit the road. 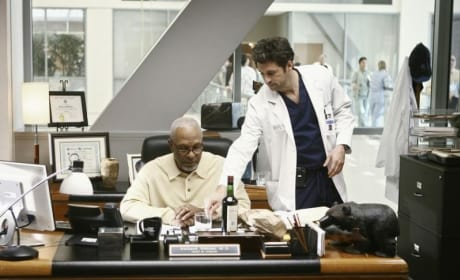 Alex and Izzie in the January 21, 2010 episode of Grey's Anatomy. Will she stick around long after she learns what he did? Alex Karev has some explaining to do after sleeping with someone else while married. 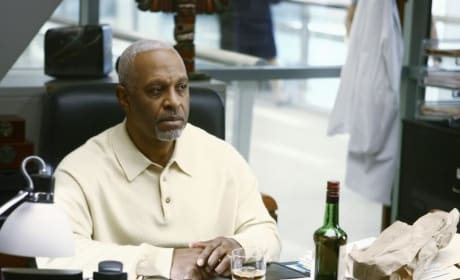 Will Izzie stay with him? Richard and Derek are going to have it out again. Derek is probably less than thrilled about him drinking.